AP aims to strengthen presidential powers. 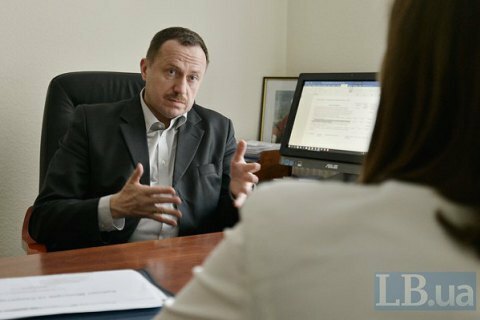 The presidential administration actively opposes some provisions of the civil service law, the head of the Center for Political and Legal Reforms Ihor Koliushko said in an interview with LB.ua. "The Presidential Administration actively sabotages some provisions of the law on civil service. Today, a bill was submitted to the Rada that aims to change the procedure of selection of candidates for the post of heads of municipal administrations. According to the Constitution, they are appointed by the President based on recommendations of the Cabinet of Ministers, i.e. the Cabinet selects candidates and offer them for President," says Koliushko. "The law provides that they, as civil servants are selected on a competitive basis. Instead, the proposes legal changes allow the AP to carry out the selection of candidates. The selected candidates will then be sent to the Cabinet for it to formally submit it to the President. This is a clear violation of the Constitution." "Furthermore, this bill allows the President to assign higher ranks to civil servants. What's it to do with the President?" says Koliushko, who believes that the novelties only aim to strengthen the powers of the President..
· Introduces posts of state secretaries in ministries. The law came into force on 1 May, 2016.